To maintain the safety, beauty, and value of your trees, routine pruning is beneficial. 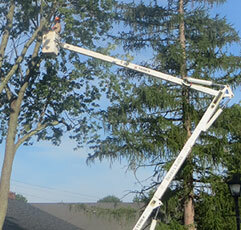 Brooks & Barber's arborists are experienced in the pruning of trees. At Brooks & Barber, we utilize several types of pruning. Our over-all pruning goal is to make your trees safe and an asset to your property. Serving Bucks County, Montgomery County and surrounding areas in Pennsylvania (PA). © 2019 SavATree; all rights reserved.